Egypt is faced with significant rise in non-communicable diseases (NCD) leading to 85% of total deaths in the country in 2012. Major causes of deaths due to NCD include Ischemic Heart Disease (20.5%), Stroke (13.3%) and Hypertensive Heart Disease (4.1%). Of the 85% total deaths, 46% of deaths occurred due to cardiovascular diseases (CVD). The STEPwise survey conducted by Ministry of Health along with WHO in 2011/12 revealed major risk factors for CVDs which include Consumption of Tobacco (24%), Hypertension (40%), Diabetes (17%) and Obesity. 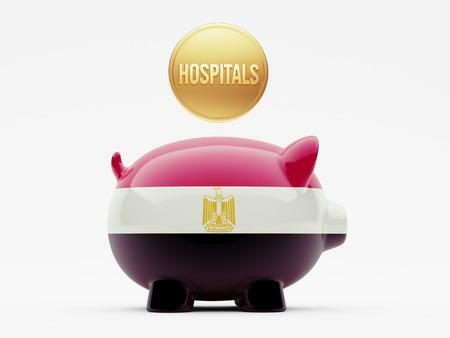 Egypt is faced with the latent shortcomings typical of an emerging market while dealing with cardiovascular diseases. Central to its challenges is the lack of specialized interventional cardiologists beyond a few centres of excellence. While the number of consulting cardiologists is comparatively high, access to such specialists beyond major cities is limited. With Egypt experiencing very high congenital heart defects, the need for early detection of fetal anomalies is on the rise. Among infrastructural challenges, limited cardiac interventional facilities adds to the existing inadequacies in Egypt. The current waiting lines for cardiac interventions including pediatric cases could be as high as 6 months. For early detection among adults, lack of ECGs across primary care facilities has been identified as a key improvement area for Egypt. In terms of awareness, both understanding and utilization of echocardiography beyond the major cities is currently restricted. In addition to the mentioned initiatives, Egypt is keen on implementing the latest mHealth technologies across the hospitals to reduce the CVD burden. Pulse Egypt – a private company specialized in mHealth solutions is offering Telemedicine and Tele-monitoring solutions for ambulances and medical service providers. The company implemented a remote consultation project at El-Kharga General Hospital in the New Valley Governate to help doctors communicate with medical centres in the rural areas. Gradual increase in the number of mHealth companies offering real-time / offline ECG analysis may also contribute to higher utilization of this modality for early detection. 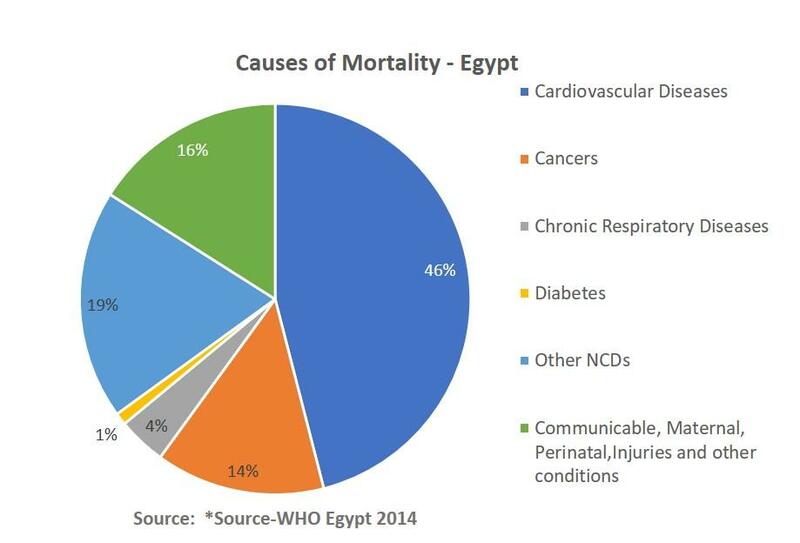 Strong political will and continued efforts from Cardiac Associations to create awareness around prevention of CVDs could help in reducing the disease burden in Egypt. While the disease progression continues to impact large population bases, private sector including medical device manufacturers would have significant opportunities to disseminate cardiac diagnostic and interventional technologies across Egypt.